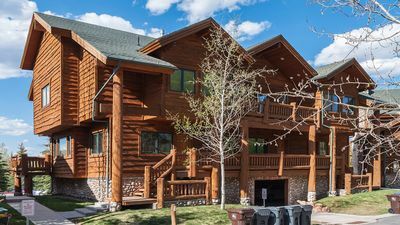 We know the key to a great vacation is finding the right accommodations and Quintessential Deer Valley Estate is the perfect getaway and hideaway, whether for a romantic holiday, a private family vacation or a group of friends. 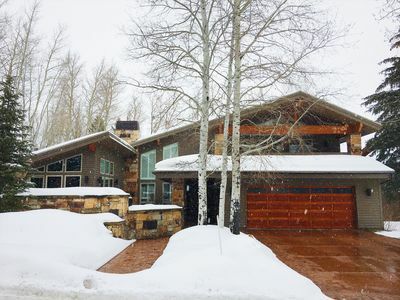 This exclusive estate is located in the gated community at Alta Vista which is located in upper Deer Valley offering panoramic views of the Deer Valley and Park City ski slopes. Every guest can sit back and enjoy their time together in this fabulous 10,215 square foot home that features seven bedroom suites, seven full plus two half bathrooms, and a media room with four queen Murphy beds and a full bathroom. 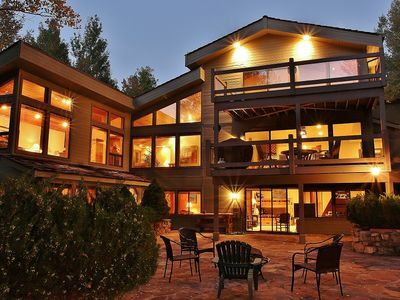 Visionary architect Kevin Watts fashioned this grand mountain mansion in its entirety from stone and timber imported from the Pacific Northwest, and every detail from furniture to fixtures were custom made for this exceptional Greene and Greene Craftsman estate. 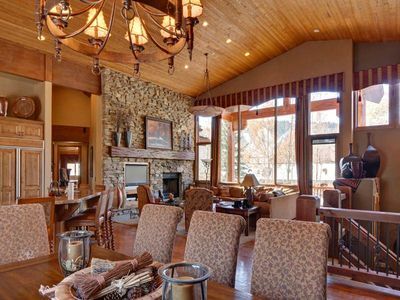 Soaring vaulted ceilings with deep-stained wooden beams, over-sized windows fill the home with warm natural light, custom woodwork adds a rustic feel throughout the home, and stunning chandeliers all blend seamlessly into a spectacular mountainside ski retreat. 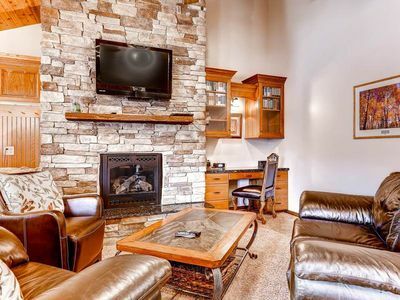 Warm up after a day on the slopes in front of the towering custom stone fireplace in the great room while enjoying the spectacular mountain views from the peaked wall of windows. 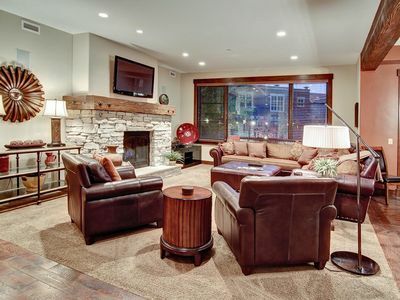 Open and inviting, the great room flows through the dining room and gourmet kitchen making entertaining a breeze. Being the Chef is a coveted role once you get a peak at the gourmet kitchen. 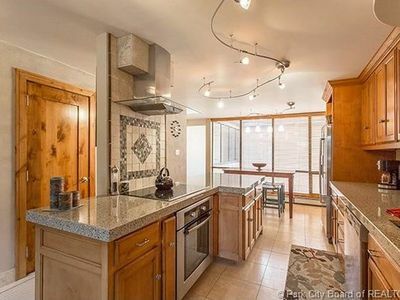 Efficiently designed, this space takes into consideration on every level of chef’s needs and is impressively equipped with top-of-the-line appliances and a bounty of cooking tools. A well-presented formal dining room opens to the kitchen for easy communication between hosts and guests. With seating for up to ten people, dinners will be a comfortable and enjoyable experience. Seven masterfully-designed bedroom suites are sprawled across three levels offering rich wood details, expansive picturesque windows with gorgeous mountain views. 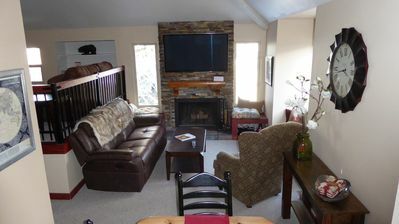 One of the master suites is located away from the main level offering a cozy king-size bed and a custom gas fireplace. With its own private deck, this will be your retreat when you need to relax and unwind. The master bath features a deep-soaking bathtub and a spacious steam shower. 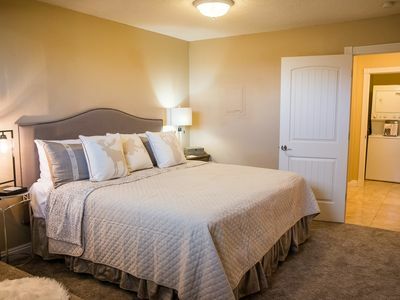 On the upper level there are three guest bedrooms including private guest quarters with a full master suite, a separate living room and a fully-equipped kitchen with counter seating. 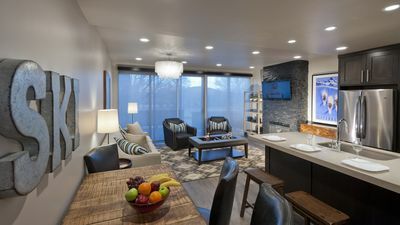 There are three more guest bedrooms located on the plaza level and a spacious family room with a full wet bar. 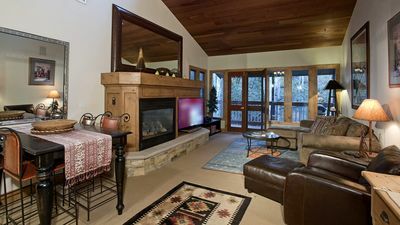 The family room opens to a large covered patio where guests can soak in the outdoor hot tub while taking in the spectacular views of the surrounding mountains. 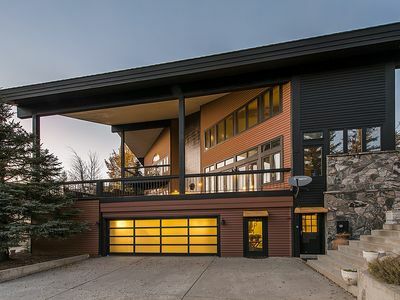 There is an astonishing ski-prep room located on the main level with plenty of ski and snowboard storage. 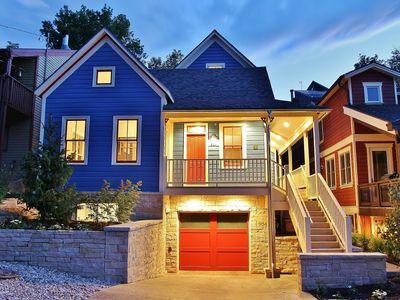 The house also features a 1,700 square foot deck and patio, sauna, and a three car heated garage and driveway. 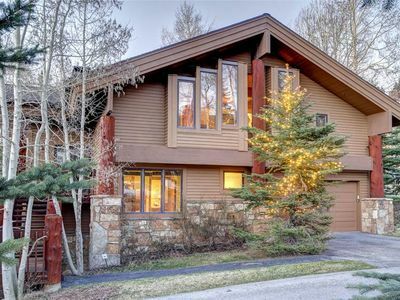 Ski in the winter and hike in the summer, this family-friendly vacation retreat has year-round recreation. 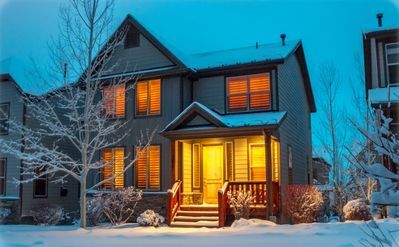 Indulge yourself and treat your friends and family to a luxurious Deer Valley vacation in this beautiful mountain getaway. 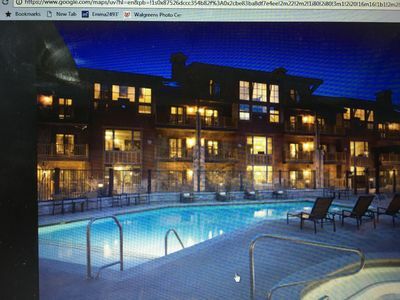 This residence requires a $5,000 refundable security deposit for all bookings that is not reflected in the nightly rate. Please note: There is a nearby construction project that is expected to last until Nov 2018. The work occurs Mon-Fri from 8 AM -7 PM only and is dependent on weather in the winter months. Please contact us for more details. 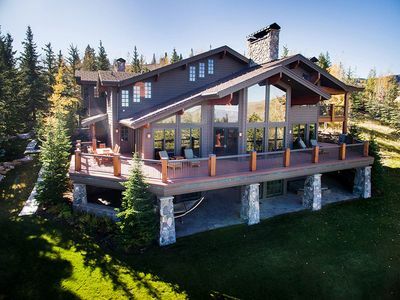 Ski-in/Ski-out in prestigious Silver Lake @ Deer Valley Resort! Sundance Open! 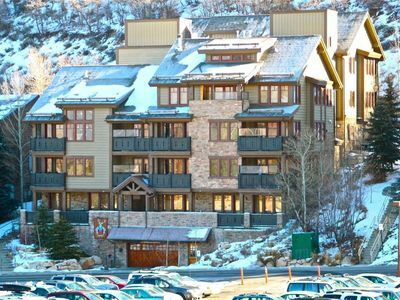 3 bedroom/2 Bath VIP condo in the Heart of Park City,close to All 3 ski resorts.